Sky TV subscribers can now stream their favourite box sets, live sport coverage and movies on a maximum of six different devices, including tablets, game consoles, smartphones and laptops. That's a significant step-up from the previous limit of four. The change was rolled-out on March 26, 2019 with very little fanfare from Sky. There was no announcement from the broadcaster, which instead quietly updated the documentation on its website to reflect the new limit. Now TV customers can also register more devices than before to stream live and on-demand content. 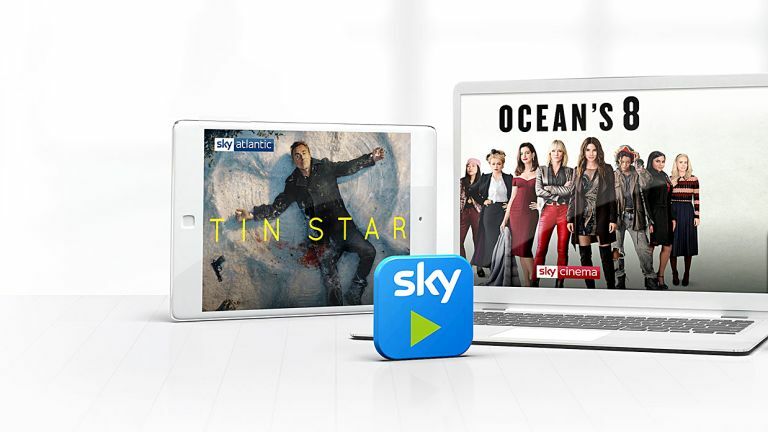 Sky Go allows subscribers to watch live and on-demand content from the channels included in their package: Sky Cinema, Sky Sports, Sky Box Sets, to name a few. Before the latest round of changes, Sky Q viewers were only able to register a maximum of four devices at any one time. Sky restricted customers from changing any of these named devices more than once a month. As well as increasing the overall limit to the number of laptops, phones, consoles, and tablets, Sky customers have also found themselves able to swap which devices are listed more frequently. By default, if you have filled all six slots and want to add a different device, the device that's used least frequently will automatically be switched out. Since there is no longer any limit on the number of times that you can rotate the devices in your six slots, it's possible to regularly watch on more than half a dozen gadgets – something that wasn't possible before. This should appeal to larger families with a plethora of smart gadgets lying around the home. Despite the changes, Sky subscribers are still only able to watch one or two streams concurrently, depending on their package. Sky Go app users can only watch on a single device at a time, while those with Sky Go Extra – which costs an extra £5 a month, but is free to Sky Q subscribers – can watch on two simultaneously. The change follows as slew of tweaks to Sky Q in recent months, including the roll-out of the Kids Safe Mode – which was first teased over a year ago. Sky has also struck a deal with the BBC to bring a truckload of iconic comedies and dramas to its on-demand Box Sets catalogue over the coming months.